Cape Pillar is one of Tasmania's premier walking trips. Originally it was opened up by Hobart Walking Club members, who explored the peninsula and cut tracks enabling access for thousands to this spectacular place. A regular for school groups introducing students to more adventurous walking, the access of locals to Cape Pillar is now under threat by the "Three-Capes" project, which aims to commercialise the whole cliff-lined coast of the southern end of the Tasman Peninsula. With claimed benefits for local tourism, the project has some support, but there are voices being raised in opposition. This multi-post blog feature will provide information about both the project and the opposition, as well as a walk description, some photos showcasing the attractions of the area, and a special feature on the early summer wildflowers. The first post is a photo feature from my recent trip, which provided both sunset and sunrise opportunities, as well as the usual daytime clifftop vistas. Second is a walk description which may be useful for people who want to undertake this walk. 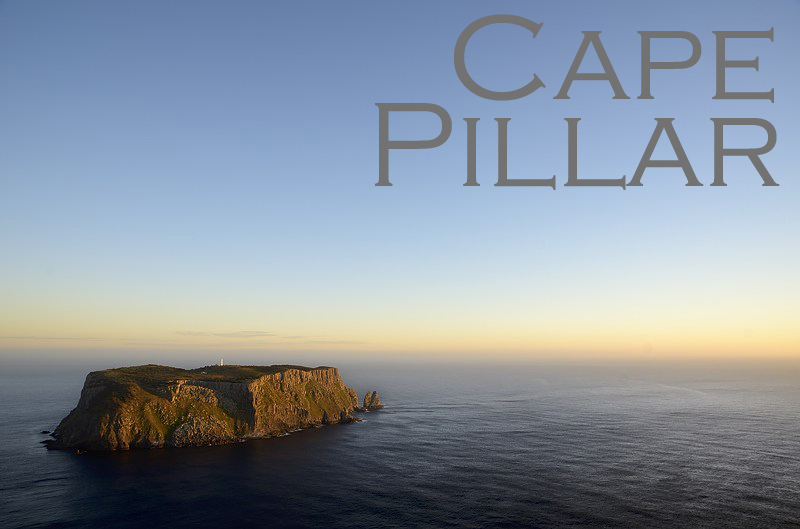 Cape Pillar photo feature, December 2012.